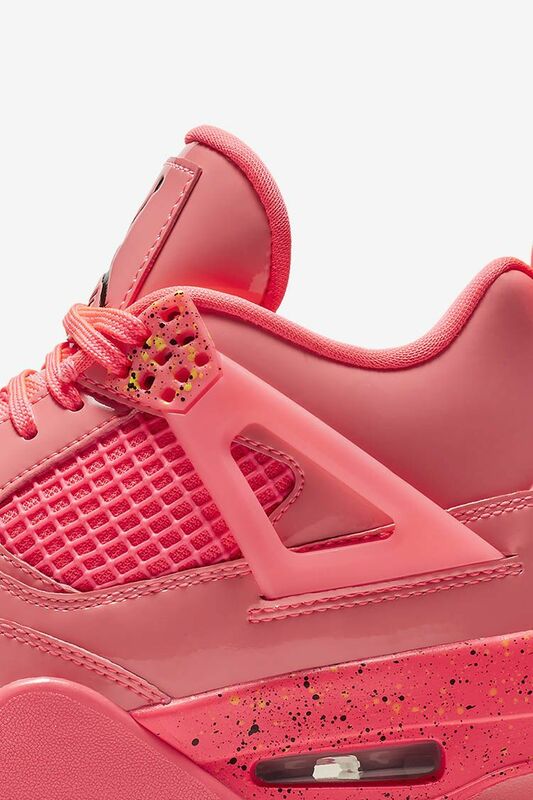 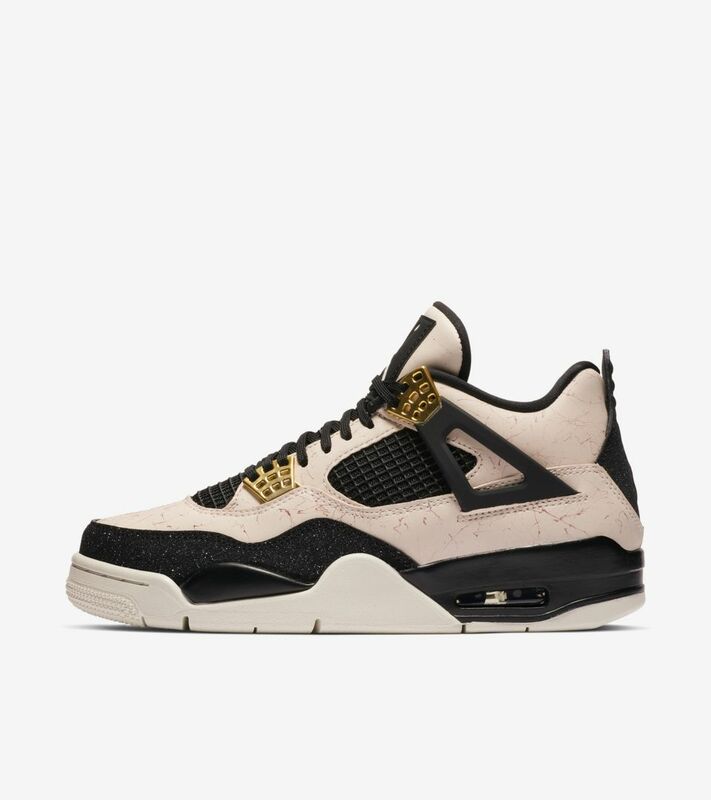 The Air Jordan IV returns as part of the model's 30th anniversary. 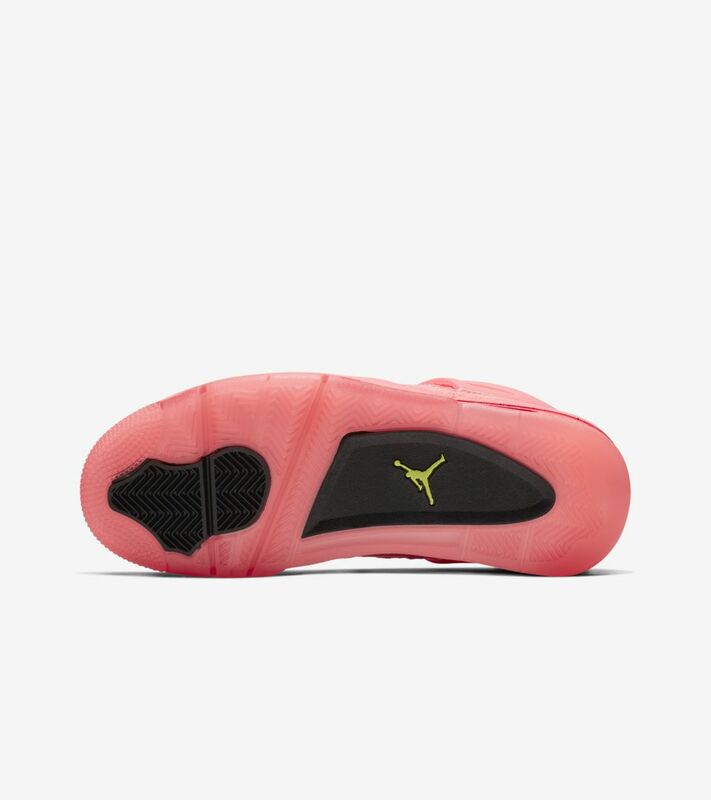 Once worn on the hardwood by number 23, the silhouette is outfitted for off-court use with a shining patent leather upper. 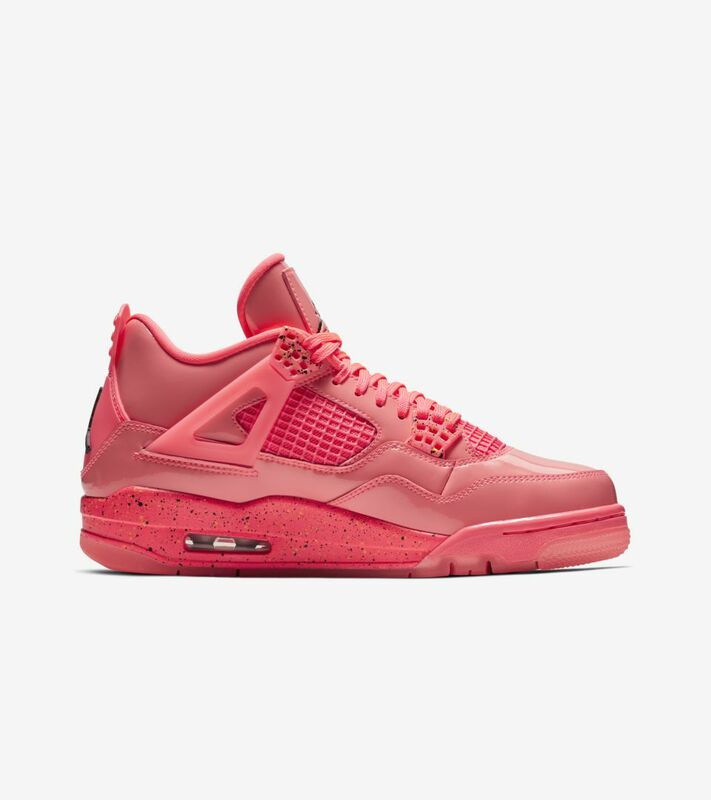 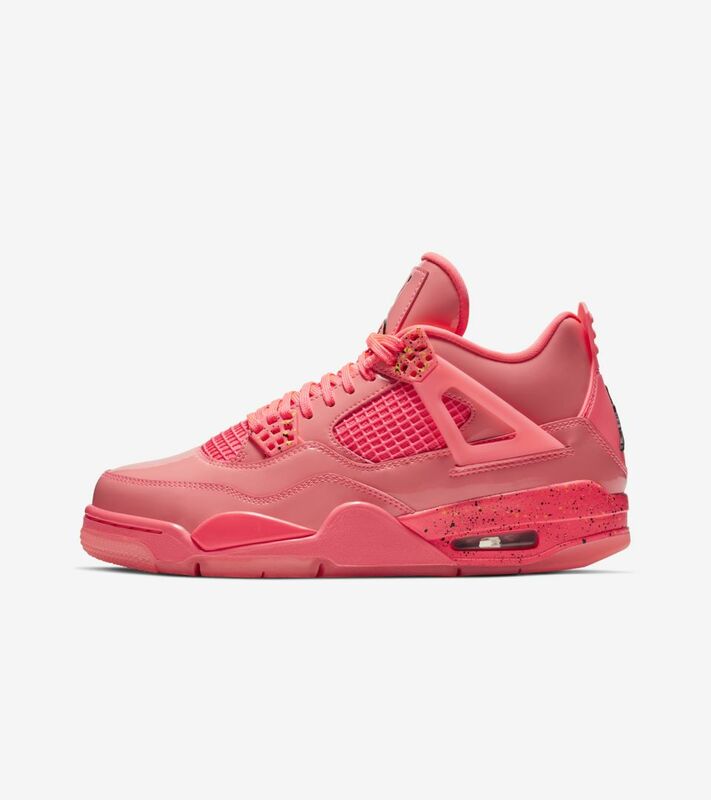 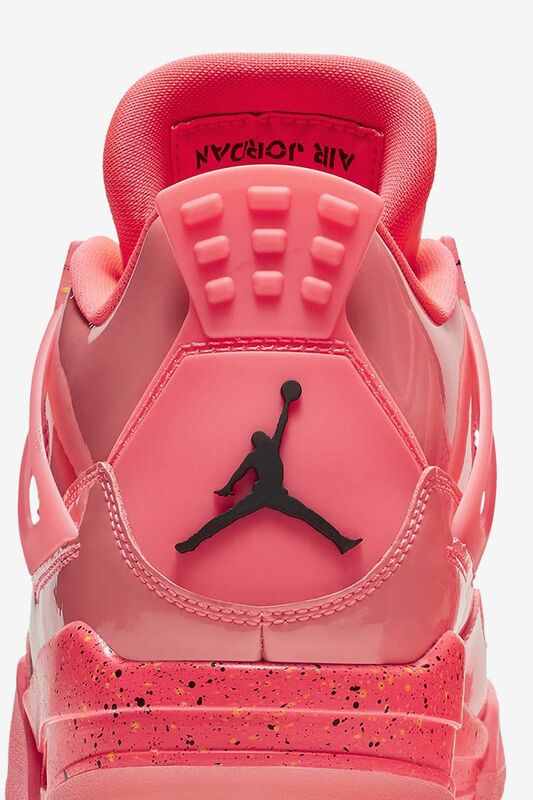 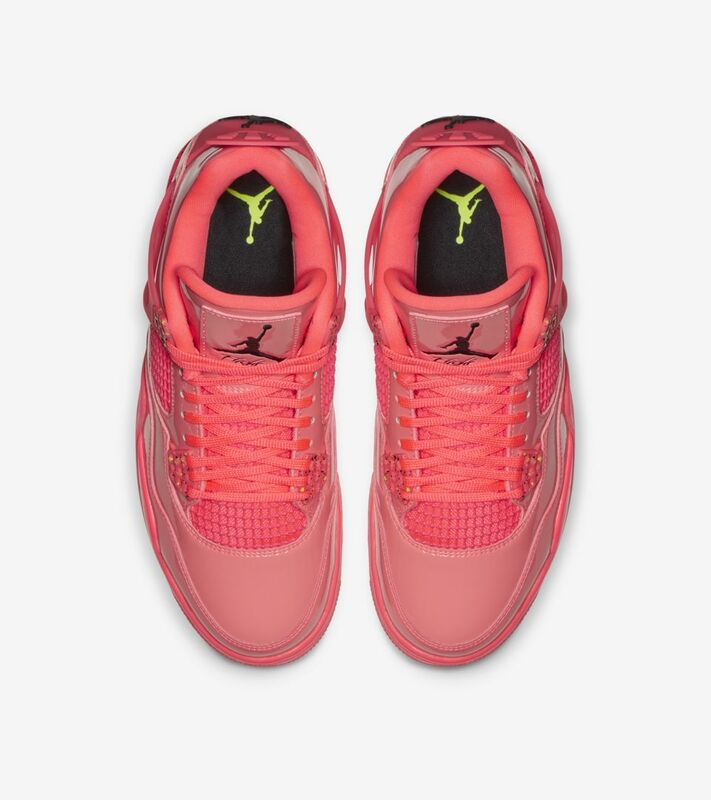 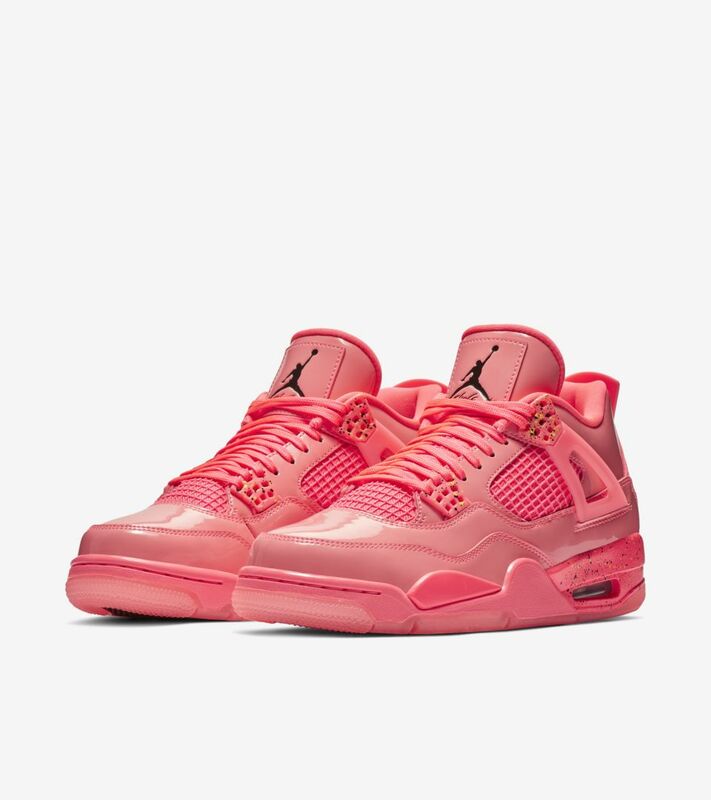 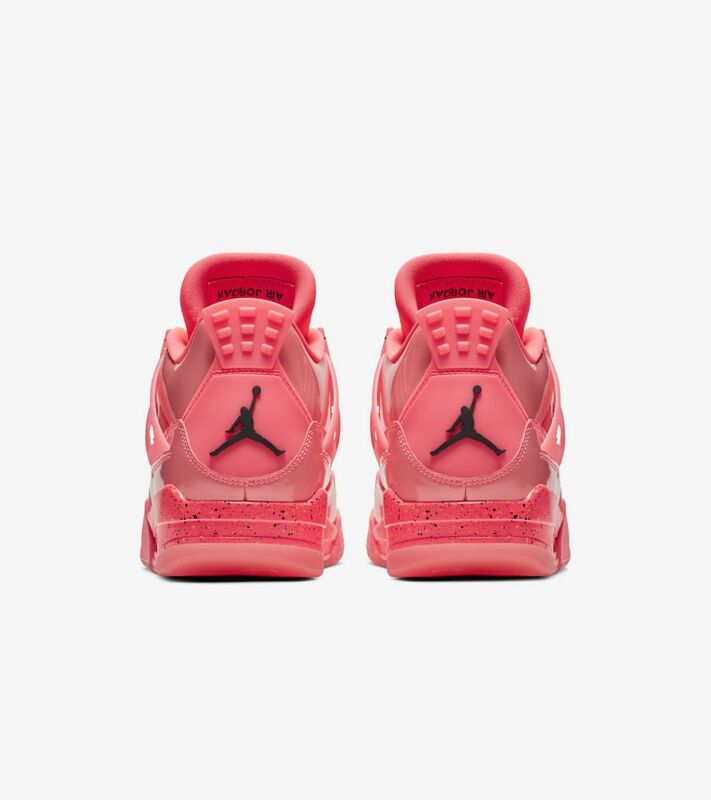 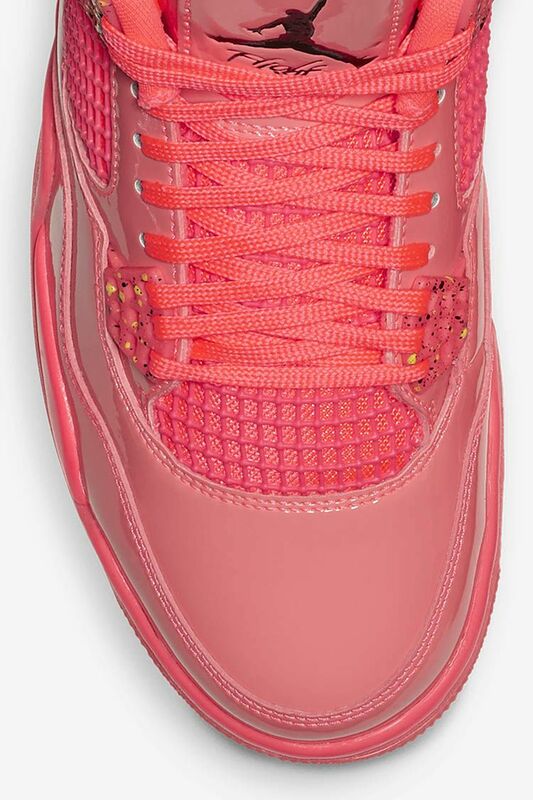 Finished in a vibrant "Hot Punch" hue, the new look is complete with staple Air Jordan design elements such as a speckled sole and Jumpman branding.